It’s that time of year when autumn is in full swing and Halloween is nearly upon us, and what better way to celebrate than dressing your home up in Halloween decorations and making lots of Halloween themed treats. Halloween decorations are often used for neighbourhood displays, to entertain children or for parties. Some people decorate their homes just to celebrate and spend times with their families; it’s the perfect opportunity for a family task. Halloween symbols are things such as pumpkins, skeletons, witches and everything mystical which is why they are often plastered as decorations across houses during Halloween. So if you’re reading this article, then it’s most likely that you celebrate Halloween. So you’re probably wondering how you can decorate your conservatory and the rest of your home this Halloween? Well if you want to find out then keep reading! This can make a great authentic Halloween decoration, and it can be done with stuff that you already have within your home! If you have any old large glass bottles, it could work perfectly; this can be anything from wine bottles to large beer bottles or liquor bottles. Once you’ve printed off your labels to put on your bottles, then it’s time to make the concoctions to go inside them for an authentic Halloween theme. These can be made at home within minutes! For adults, there are many Halloween cocktail recipes online, but for children, you can simply mix lemonade with green food colouring and label it “frog slime”. And for bottles or containers that are just for decoration, you can put anything in the bottles that mirror something disgusting. For example, fill one of your containers with talcum powder and write “Bone Dust” on the front to really freak out your guests! These forms of decoration work the best when on display on tables amongst food and drinks so they could work as an excellent decoration for your food table. This isn’t exactly a form of decoration – unless you make it one. But it’s so simple to do and really effective with guests that we had to mention it in this article. How boring are standard ice cubes, so why not jazz them up with some Halloween spirit? Using the same process, you would to make normal ice-cubes merely drop in a few Halloween spiders to give your friends a fright when they take a sip of their drink! Although this isn’t necessarily a Halloween decoration, it could work as one at a Halloween party, if you’re having a get together with friends then purchase a cooler to store all the drinks in. In the same process as before, make all of the ice that you will use in the cooler with Halloween spiders in them to shock your guests when grabbing a bottle of beer! To finish off this perfect decoration coat the cooler in false spider webs, spiders and any other decorations you think will look good on top. You can buy tiny Halloween spiders here at Amazon. If you’re holding your Halloween get-together in conservatories Northampton, then it can be a lot easier to decorate, and if you have a fruit bowl laying around, then this is an easy cost effective Halloween decoration. Tangerine pumpkins are merely smaller versions of the traditional Halloween carved pumpkin – and they’re tangerines instead. So if you want a unique Halloween party this year then break the stereotypes of Halloween and decorate your home with happy, sad and scary little tangerine pumpkins. You can make these in minutes by simply drawing a variety of faces on tangerines using a black permanent marker. These are fun to make and also cost nothing, begin with granny smith cooking apples. Then carve out creepy, scary faces in the apple using a sharp knife, once you are done then soak the apple in lemon juice for 30 seconds. Then leave them in a dry, warm place to dry out and shrivel up, you can carve these apples out so they look ancient and if you wanted you can leave them exposed to moisture to grow a small amount of mould for the complete Halloween theme. When your wrinkly apple faces are complete you can choose to either mount them on a stick for display like severed heads, or you can dress them up as characters using your DIY skills – the choice is yours! Mummies have been around for as long as we can remember and it was the ancient Egyptians way of preserving their dead loved one’s bodies. Mummies are also a traditional symbol of Halloween so why not add some of your own for around the house? You can make your individual wire mummies by using chicken wire or any crafting metal wiring that you can find on craft sites. All you have to do to make your DIY mummies is make the basic human body outline out of your wiring, once you have done this all you need to do is tightly wrap the wiring in bandages, linen or any beige coloured material you can find. If you have white material or simply want to make your mummies look ancient, then an easy way to do this is with teabags, put teabags in warm or cold water and then apply the brown water to the material for a brown ageing look. One of the most popular Halloween costumes chosen by copious amounts of Halloween celebrators every year is the classical Halloween symbol that is the witch. And what is a Halloween party without a witches cauldron? So why not make a unique statement by hiring a witches cauldron for the night of your party, complete with a hole for a smoke machine at the bottom for a complete witches potion cauldron. The witches cauldron works as a fantastic centrepiece for the ultimate Halloween get together! 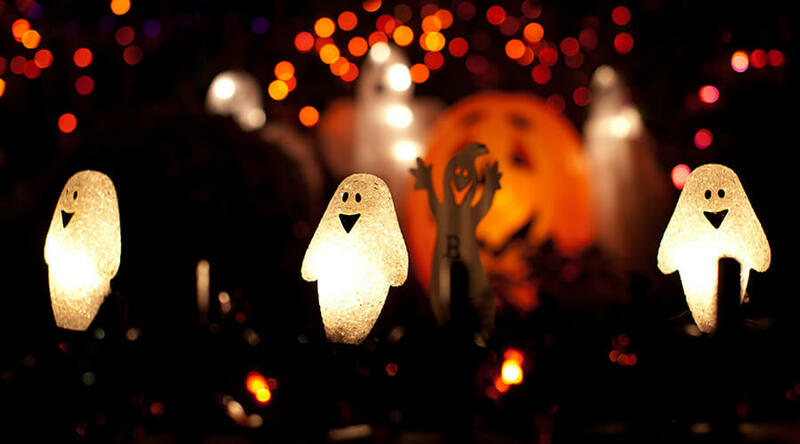 So make your home Halloween ready with these fantastic decoration ideas perfect for any kind of get-together!  If you are hosting your Halloween party in your conservatory, then you should invest in some window stickers or window clings for your windows Milton Keynes to go around the entire room.